Round peg looking for square hole! 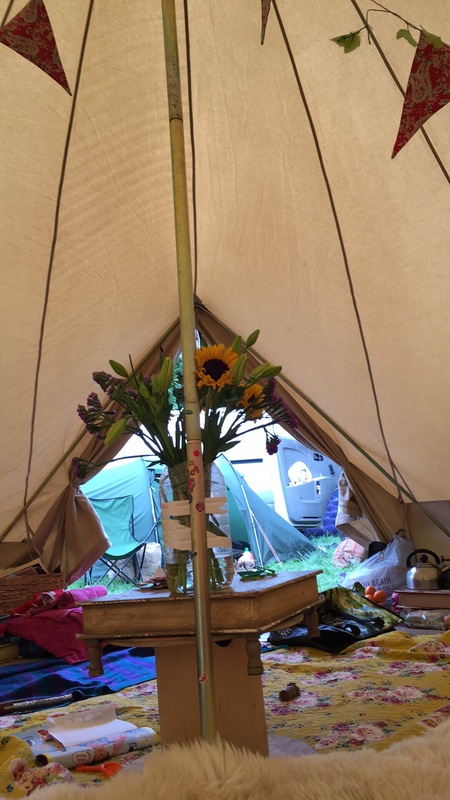 4 children, 1 marraige, a big 1950s house and garden and limited budget, festival producer, art and maker, adventure haver, bargain finder, travelled and product tested. Y not catch up on the last few weeks? 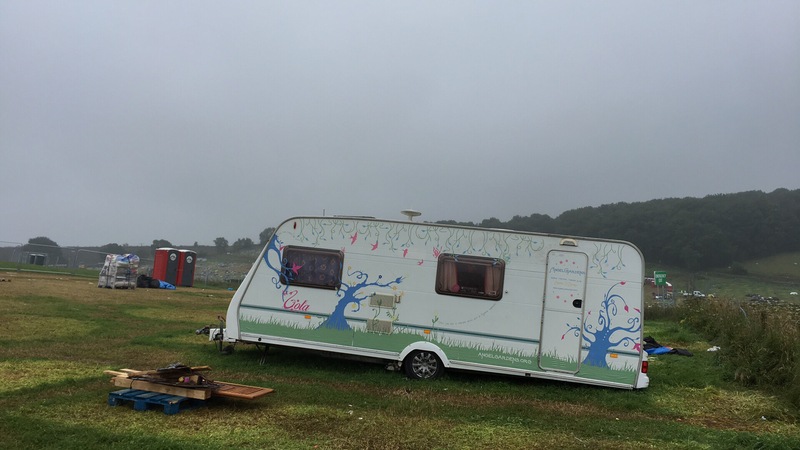 I know I know… I am totally late with this again and I’m sorry but it’s been a bit chaotic..
We set off to Derbyshire to produce the kids area on the Wednesday, after a coup of hours we arrived on site with a very poorly looking caravan! We literally dragged her onto site. Poor old Lola had come off her chassis and it was obvious she was very unwell! We had very little signal on site so had the excuciating task of having to wait until the Monday to contact the insurance to see if we were covered! The festival was an odd one.. It isn’t really a family festival and is a messy one too. Thousands ( 25k to be exact) of 25-19 year olds all drinking and taking loads of crap drugs , peeing and puking everywhere! There were families and we created a wonderful area, in fact we did one of the best we’d produced all season! 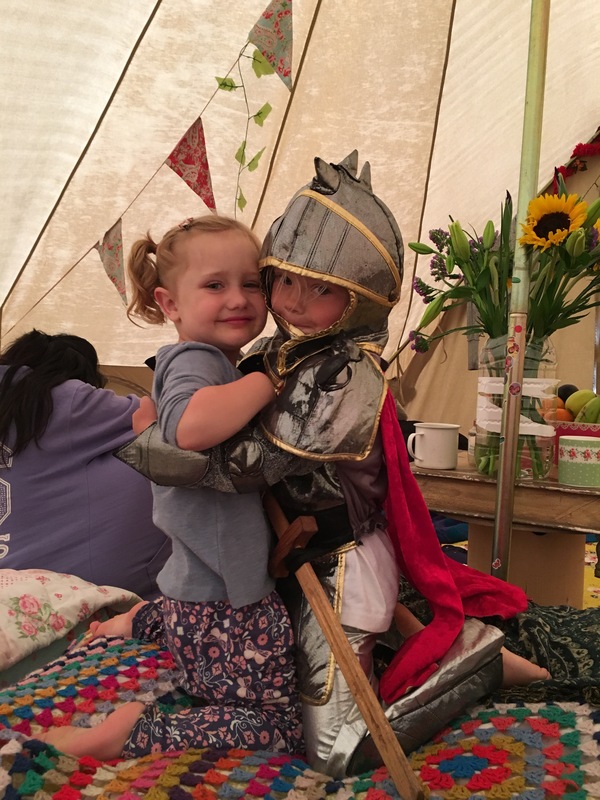 Crew had a magical time in our back stage area socialising away from the crowds and also out front during the day entertaining the kids and working together in that special way they always do. In one way I think the weirdness and aggression of the vibe actually made the festival for the crew , as they were forced to socialise together in our safe area back stage. The 16 year old daughter brought her friend and they camped together in a little tent and the 17 year old also camped with her boyfriend so the caravan spent her last weekend with us with just the four of us. We did spend a lot of time in her, it was cold in Derbyshire! The heater was on most days! As Monday arrived, Mr O started calling the insurers and the papertrail started. After many calls and negotiation we had an assessor named Joe come out to take a look. A rotund jolly man toddled across a messy and smelly field to our highly decorated canaravan and happily told us she was a right off! Not unexpected but very saddening. We had to arrange collection and get it delivered to our yard back in Yorkshire. Not easy logistics when you are in a field in the middle of nowhere. 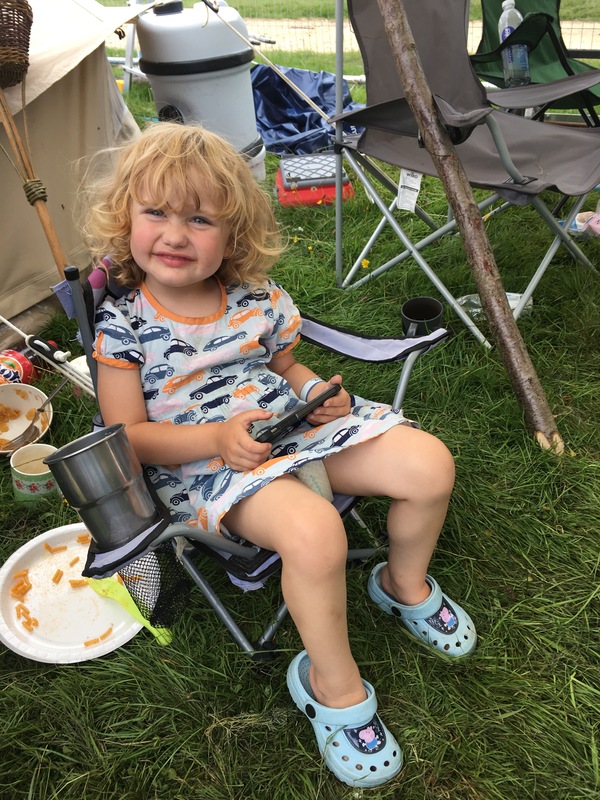 We stayed an extra night on site while we sorted it all out and then sadly left Lola in the field on her own as we made our way to Oxfordshire for the next festival! We had to take as much kit as we could in the van including the cusions to sleep on and lots of blankets. We decided enroute to stop off at a hotel so we could get clean, rest and make use of the wifi to sort out all the admin. Heaven! 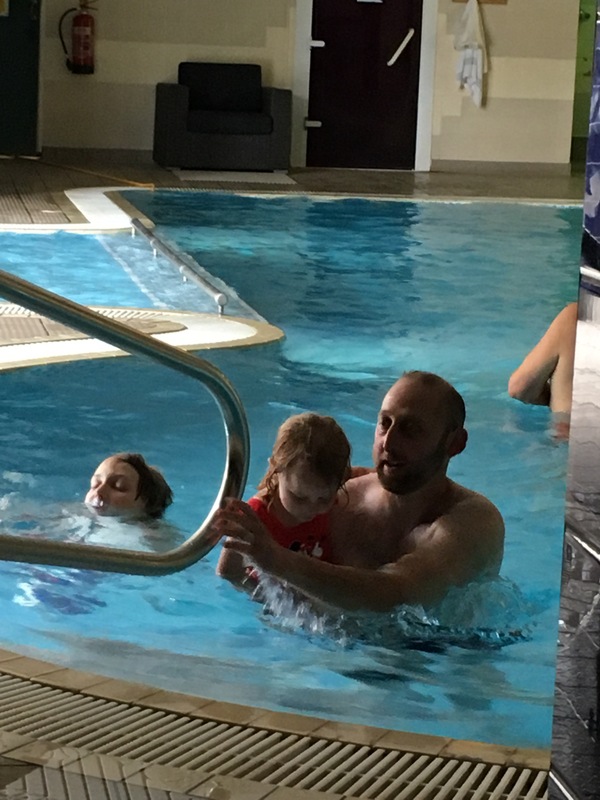 We found a very lovely 4* hotel in Warwick with a swimming pool and all mod cons! 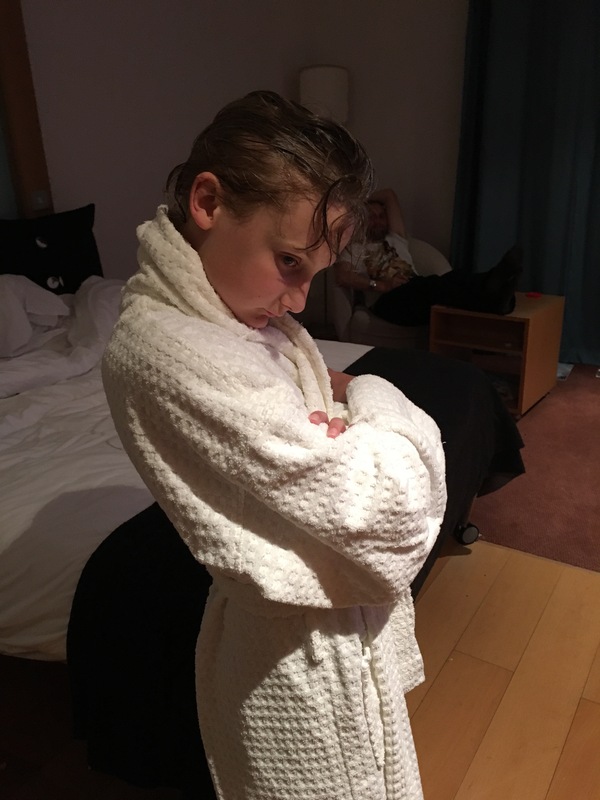 As the children swam and we enjoyed the steam room and and heated sun beds I finally relaxed for the night! 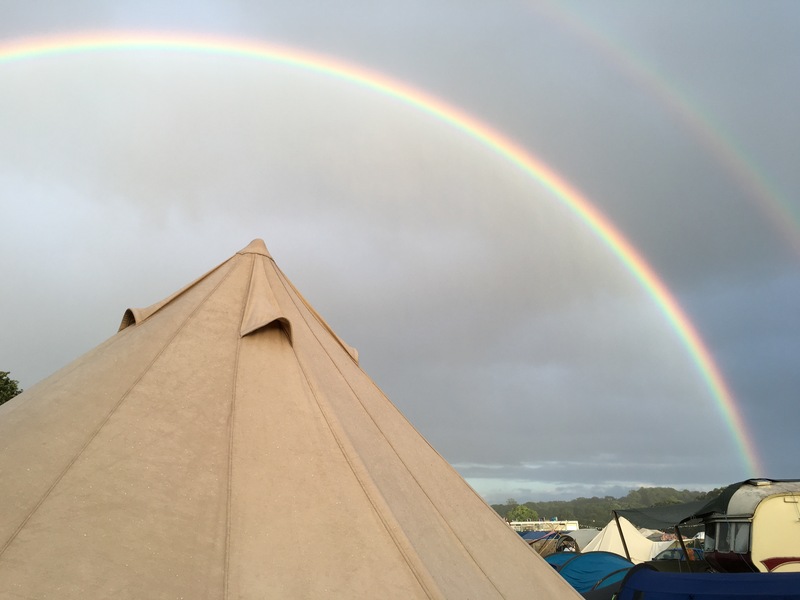 We arrived on site late Wednesday and set up our camp, we were sleeping in a bell tent and by the time it was up and cosy I remembered how much I loved camping! I love crawling about, love the cosy beds and love sitting outside !!!! I totally love the adventure of cooking meals from dried and tinned foods as well as organising systems form washing up and keeping clean! Why don’t we do more of this? It’s day two of the wilderness festival and I’m enjoying running my own workshop.. It’s great doing the teaching myself and not looking after a big crew. Tara is here with the kids and we are jokingly calling her the ‘nanny’ as she looks after kitty with such love and attention…she’s the only adult outside our own (not so) little family that kitty will goto so it’s a real joy for me to be able to fully concentrate and focus on my work. 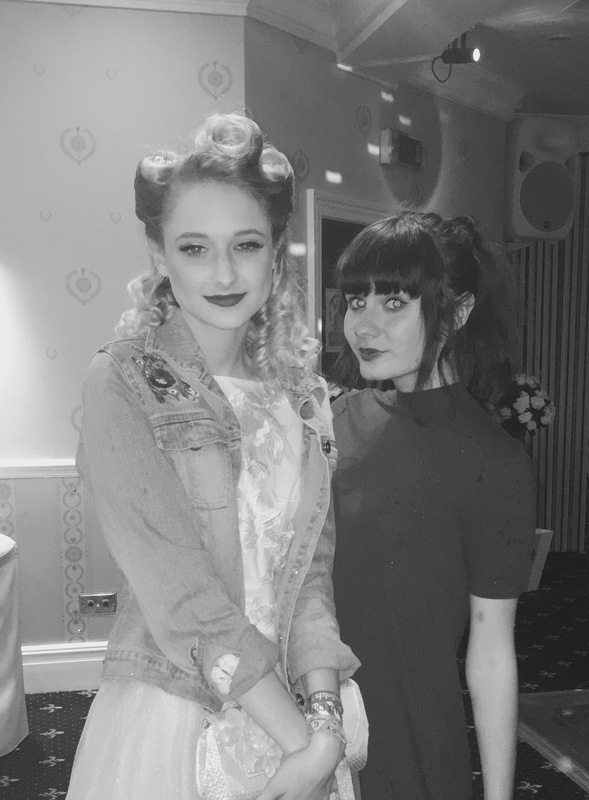 Although I do miss her! Tara is brilliant and knows how hard it is to stay focuses when the kids are around, so she doesn’t bring kitty to visit me during the day. So by the time I get back from work and get in the tent, kitty and I are both thrilled to be together again. Our playtime and cuddle time is so special and at home we do it just before everyone gets home, but here is is as soon I get back and we enjoyed a few songs and games together while Mr O brought me some tea! They play so well together and it so lovely seeing them together, both are clever kids and don’t have friends on their wavelength at home.. It’s a pleasure to watch them spend ever hour together. 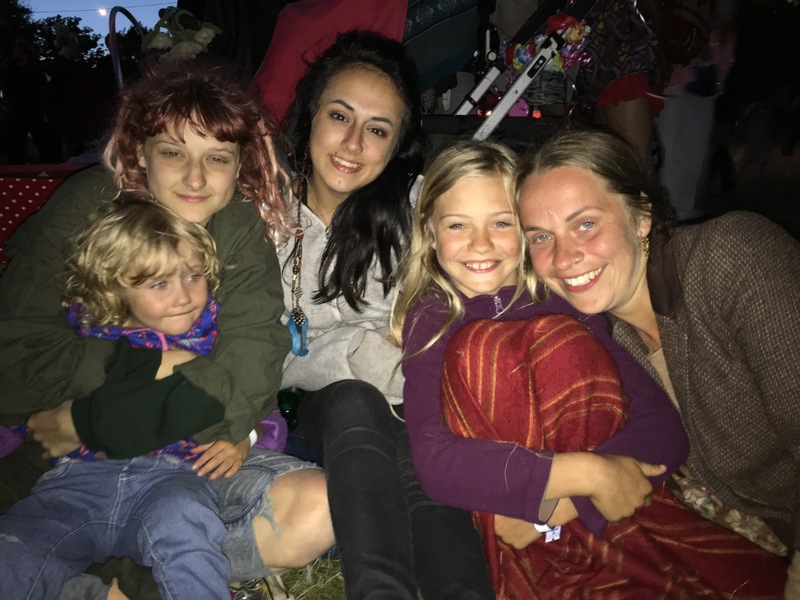 Tara and the children (bear and poppy) are enjoying their festival, spending their evenings together eating dinner and doing lovely things. They are a lovely family and I feel blessed to have them in my life. The 16 year old and friend are happy and enjoying ‘hanging out’ after working all day. 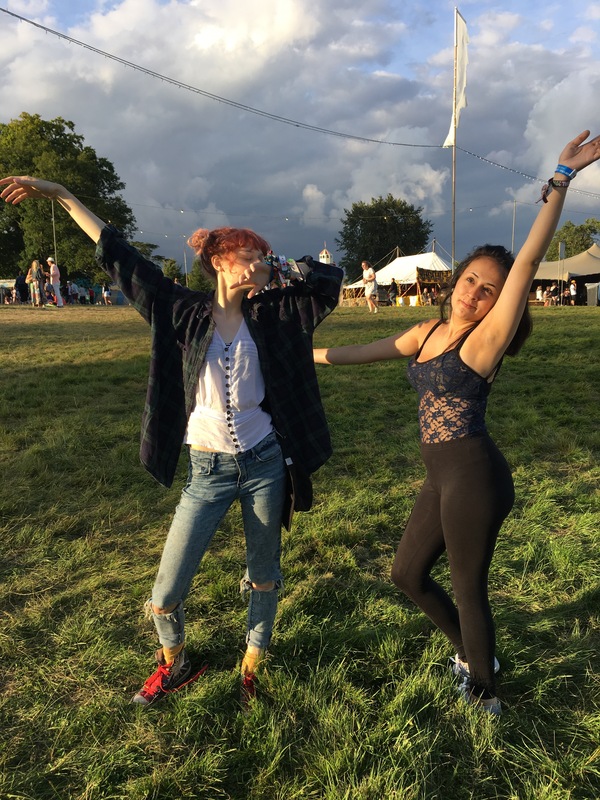 Raven( friend) has never done a festival and she is from a tiny family, living just with her mum. So spending two weeks on the road with the O’Brien clan must have been a real culture shock. But she’s fit in nicely and I’ve been happy to have her part of the family. Grace certainly has enjoyed having a friend with her. They both worked doing face paint (grace) and glitter art (raven) they were busy and worked hard. 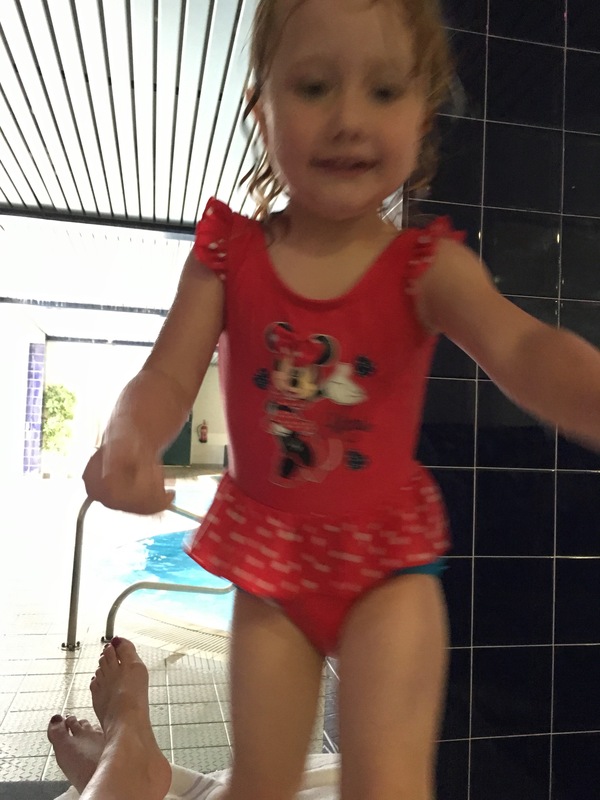 So good to see grace refind her confidence again!!! (Shed lost it a bit this summer) So as they both earned a daily wage they enjoyed going off and spending it. Grace finally fulfilled her dream of getting dreads at Ynot festival and it’s like she’s found herself.. She’s more confident and said herself how she feels like she has found the girl she always knew was! Made me think about the power a ‘style’ can have… A blog for another day maybe?! Lola is back in Pontefract and we will deal with her on Tuesday.. Poor thing! We are gutted to loose her, but trying to be positive. I’m wondering if we can strip her insides and rebuild her in my potting shed? Could be good winter project?! And thinking of ideas to replace her.. Maybe it’s time for a change? The girl are starting to want their own tents do we could get something smaller and more unique?! Maybe a roll top waggon? We’ve been looking this weekend! So it’s Sunday night and the family are all sleeping.. I’m lay listening to far off music and frivolity. It our last day of our 2016 festival season.. Home tomorrow before packing for our Parisian trip and preparing for daughter number 1’s 18th! All exciting and positive but sad to say goodbye to the fields for a while! Now normally when I review a band I’m talking about the new material and their overall sound.. Blah blah.. But not today.. This is personal. I have always been super proud that our two older girls have never fallen for the mass marketed mid road music produced crap, produced purely to attract young people and make them spend money and fall for the weak and fabricated message they send. As a family who have always been part of the music industry, albeit on the sidelines, we have been lucky enough to have brought the kids up on a fine diet of talented musicians and artists. 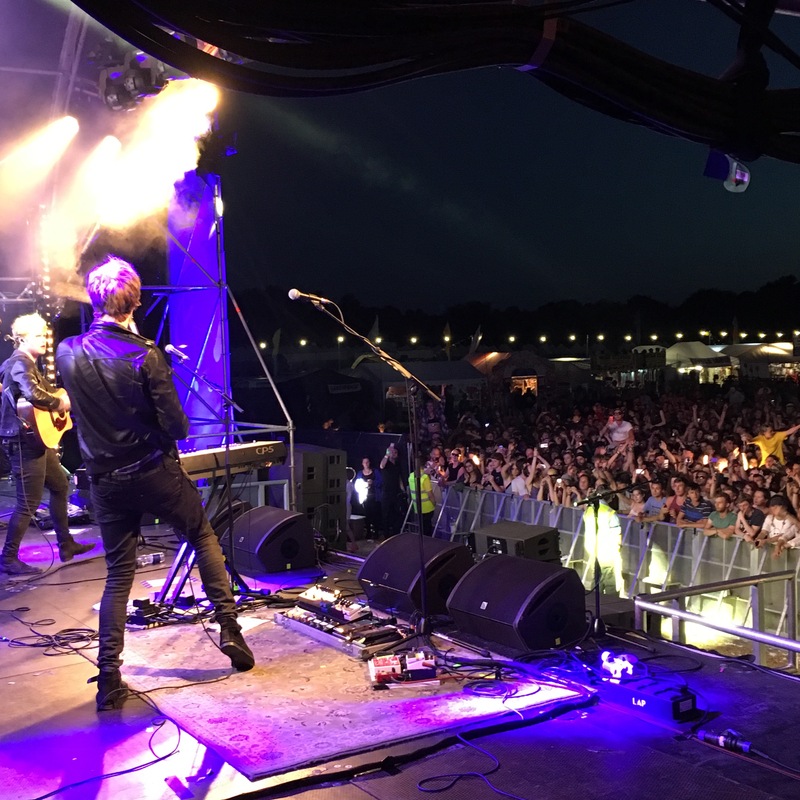 Not only are they around super talented crew who really should be stood on main stages across the world, they have been dragged back stage to watch many a band and see behind scenes of the real life of the music industry. Both Libby and Grace ( our two eldest) have been able to self teach themselves various instruments and using the vast amount of creative influences around them are slowly discovering their own music style. Both beautiful singers and both with their own totally unique style. Libby 18 has started gigging and playing with our friends and colleagues. She is gaining In skill and confidence every day and with her beautiful looks and style she is on the road to a fulfilling musical life, where she plays with passion and not ego. Grace at 16 is a different kettle of fish, she lacks confidence and isn’t a natural performer, in fact she struggles to talk to anyone she doesn’t know. She doesn’t do the full make up thing and prefers her own Indy girl style with a twist…But slowly slowly she is starting to sing outside of our company and people are starting to notice her gentle skills and encourage and mentor her. She will find her voice at some point just like her sister and it will definitely be her own. 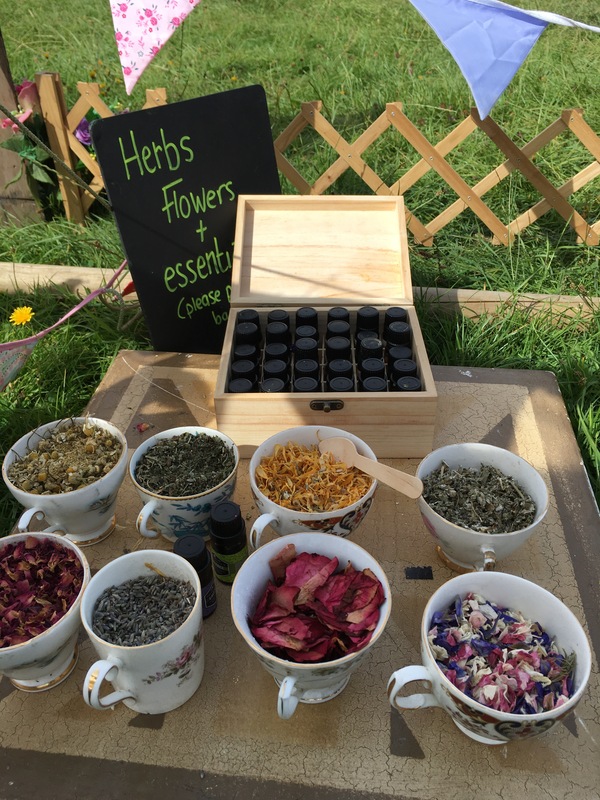 This weekend we were running the space at Truck festival and it has been a lovely weekend. Unfortunat Libby had to stay home for work and college but Grace joined us with the other younger two and she had an extra reason to be excited. Grace, like Libby , loves her music. They both adore folk music, indi Rock and basically any musicians that play their own instruments. They both enjoy their music loud and live. We I listen to them as they critique their experiences it is a truly pleasureable experience. 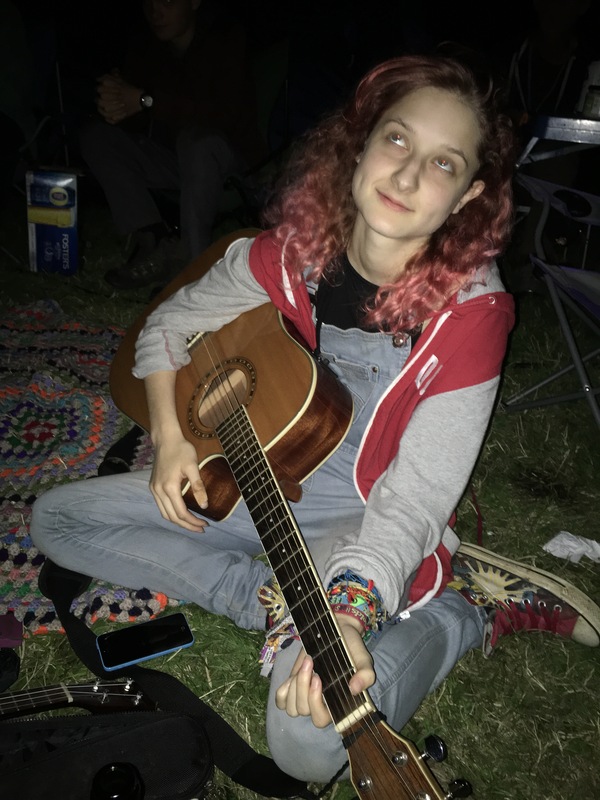 Grace loves instruments and she has just started playing the guitar, self taught in a month she is now playing her favourite songs and those tend to mostly be kodaline songs right now! Which luckily for her was who she was watching last night! She came away with a set list and plectrum and when we left the stage she met the band who were totally charming and sweet with her. We don’t often do the fan thing? I am actually renowned for not recognising artists and famous people.. (My best story was chatting to snoop dog for a good half hour without having the girl clue who he was! ) 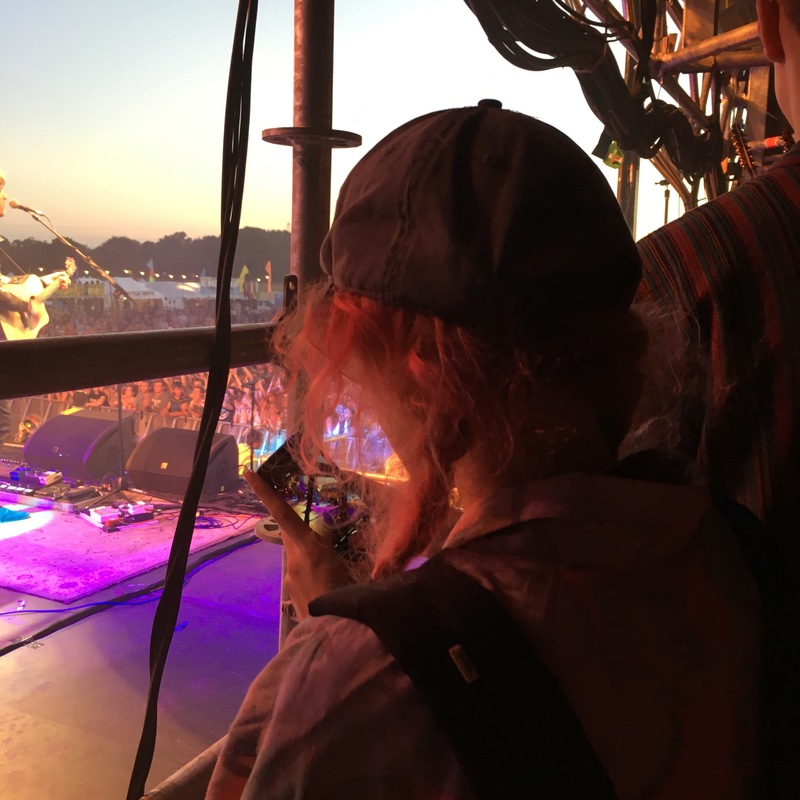 but when I have introduced kids and fans to musicians back stage, it’s often quite clear they really are going through the motions…. If indeed they stop and meet them at all. Often not making eye contact and clearly been distracted , fans can be left disappointed with their heros. But last night both the lead singer and the guitarist shook her hand and asked her name, they spoke to her as an equal and made eye contact with her as they spoke and showed that they really truly had time for her. I always tell my crew that the small Moments you truly give to your audience, are the moments that are important. Your audience are your reason for being who your are and for what you do. One genuine memory with one of your audience will create life memories forever and will often influence individuals into the future. Kodaline were brilliant..I enjoyed them too , their passions and skill was lovely to watch. I recognise it instantly as coming from real and true musicians who truly love their craft. 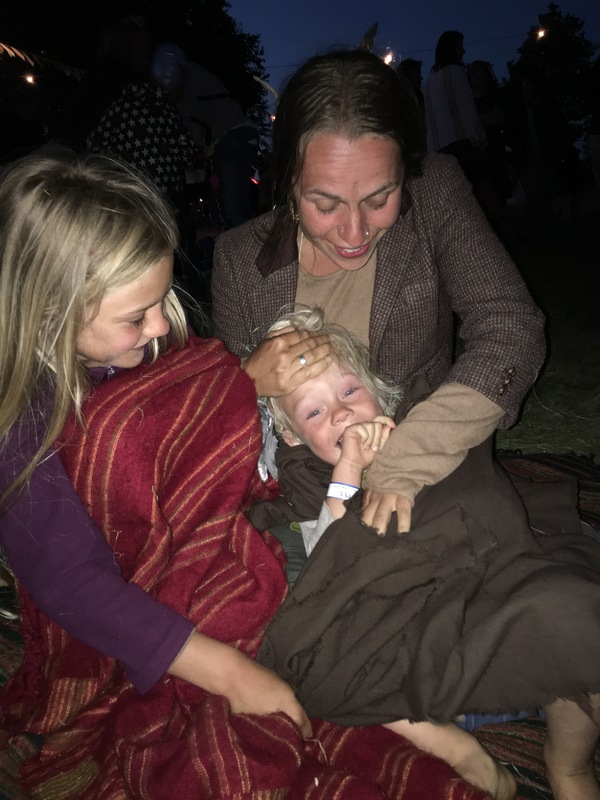 It doesn’t matter if it’s my crew sitting around a campfire, my daughters singing in their bedroom or a signed band on a main stage… You can always tell if they are playing for love or for ego! So well done kodaline, you were already inspiring young musicians in my daughters, but last night you also influenced a life too. If you just gave her a little more confidence and illustrated that music , no matter on what size stage is accessible and achievable. As musicians who live their craft, no Matter at what stage you are at, you are equals and peers, their to respect and support each other. So as we travel home after another tiring but lovely weekend.. I’m proud of my staff and crew for inspiring the young people they worked with and shared their skills and time with, and I’m proud of a band I don’t even know personally for doing the same for my own young person! Thanks for making a difference. Grace last night aroubnd the campfire with crew. Why Are Kids Banned & Punished For Grieving? Packing, ordering and preparing to make life easy? 2018 can Sod off ! 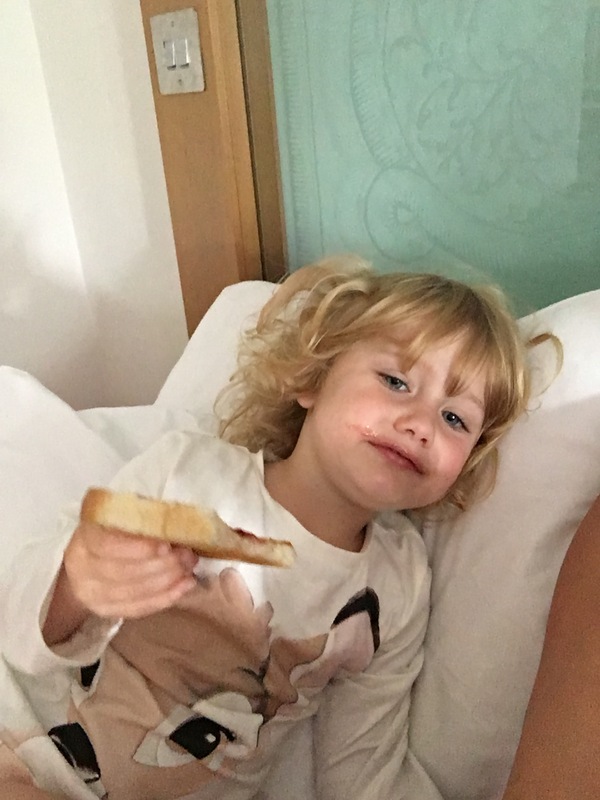 Violent trumping causes unknown emotional damage to four year old!